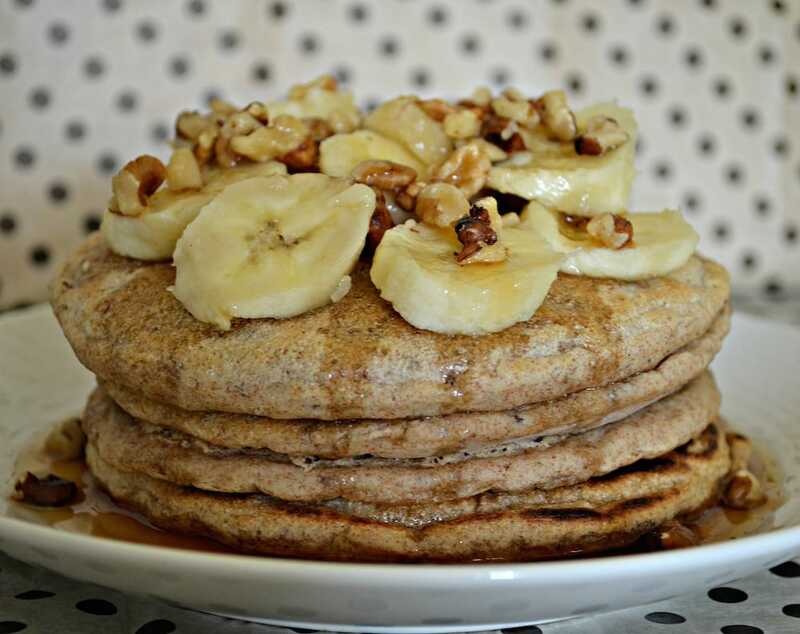 Healthier Vegan Spelt Pancakes. No eggs, no dairy. You can be vegan and eat fluffy pancakes! Before I became vegan I had no idea that you could make pancakes without eggs and milk! I have been experimenting with pancake recipes for a while now and have had some epic fails. None that were inedible but nothing that I would want to make again. I eventually made some decent pancakes with white flour (check out my Vegan Banana Pancakes), but wanted to come up with a slightly healthier recipe so started experimenting with spelt flour. 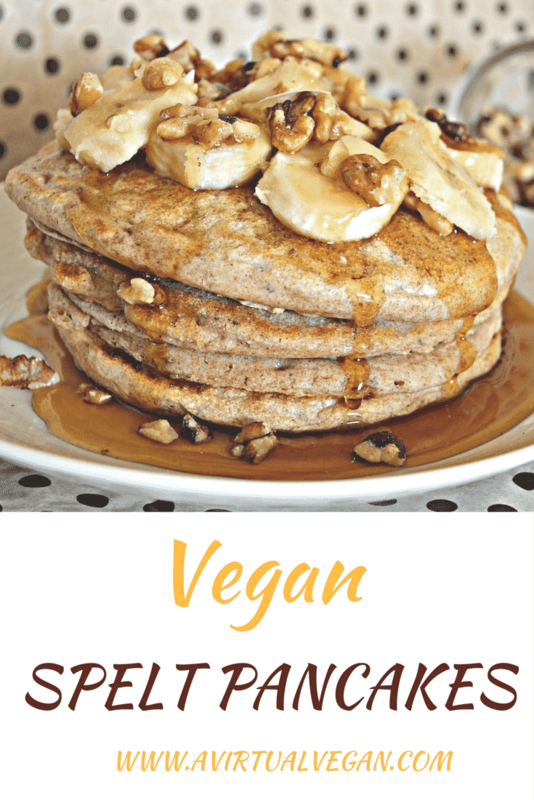 I know that no pancakes are good for you but as long as you aren’t eating them every day then these Healthier Vegan Spelt Pancakes aren’t going to do you too much damage and they do include good wholesome ingredients and no eggs or cow’s milk. 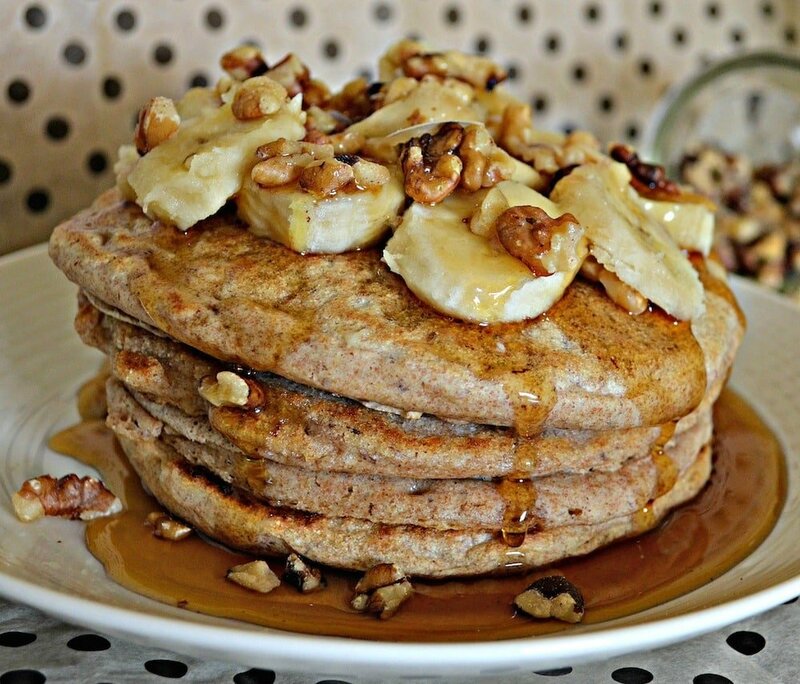 These Vegan Spelt Pancakes are delicious and the nutty flavour of the flour pairs perfectly with the bananas, walnuts and maple syrup. If you love pancakes but don’t want to make a whole batch, check out my Healthy Vegan Pancakes for One and if you prefer to eat gluten free, check out my Vegan Gluten-Free Pancakes. 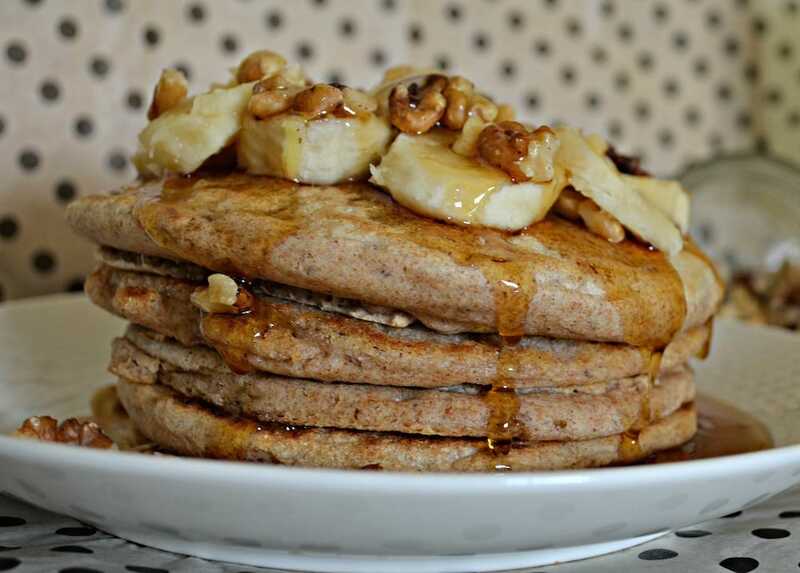 Healthier spelt pancakes topped with banana, toasted walnuts and a drizzle of maple syrup! In a dry frying pan toast your walnuts for a few minutes then set aside. Put the flour, the baking powder, baking soda and salt into a mixing bowl. Pour your milk into another bowl or jug. Add the vinegar and leave for a few minutes. Add the vanilla extract, liquid coconut oil and flax mixture to the milk mixture and stir well. Pour the liquid mixture into the dry mixture and stir together well. You do not want to over mix it and a few little lumps here and there are fine. 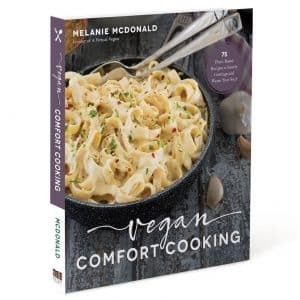 Warm 1 tablespoon of coconut oil in a frying pan over a medium heat. When the oil is very hot spoon some of your pancake mixture into the pan. I used 1/3 of a cup per pancake and made 4 but if you want to make them smaller and make more then use 1/4 of a cup. Leave them alone until you start to see lots of small bubbles appearing on the top. When you see the bubbles flip your pancake over gently. 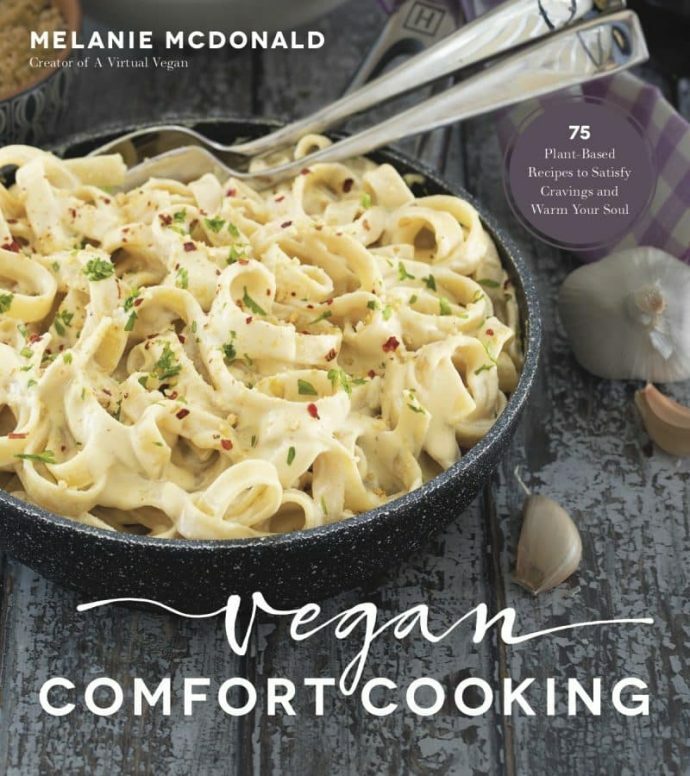 Cook for another minute or two then transfer to a plate and pop in the oven to keep warm while you cook the rest unless you have someone on hand to eat them right away! 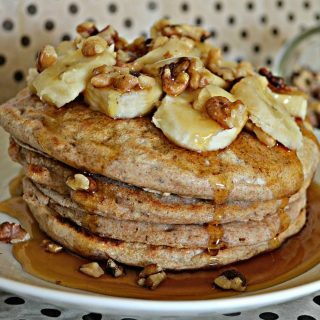 When ready top your pancakes with banana slices and chopped walnuts and drizzle over some maple syrup.